My lady parts hurt, so I wore pants to work. 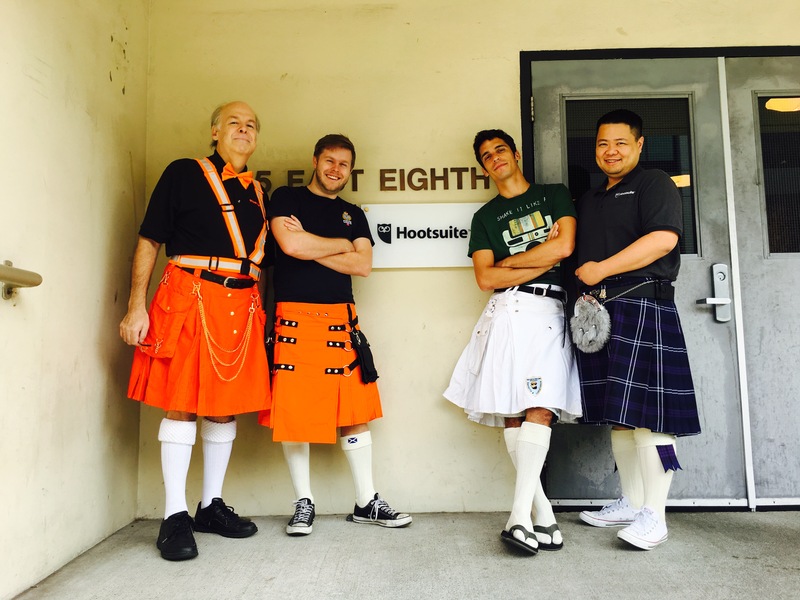 When I got to the office, I was greeted with the spectacular sight of my coworkers all wearing kilts. Today is Opposite Day, and it is amazing. everything about this is the best ever.